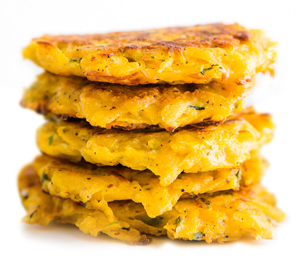 These butternut squash fritters are the perfect combination of salty and sweet and are a great healthy holiday treat to share with family and friends! Make a batch to eat as a side dish or make as a dessert (isn’t it amazing that they can pass as both?). 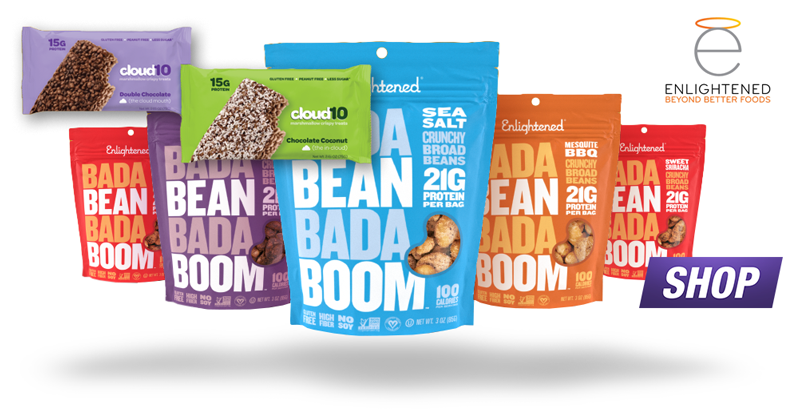 The creamy butternut squash blends deliciously with the Sweet Cinnamon Broad Bean Crisps! 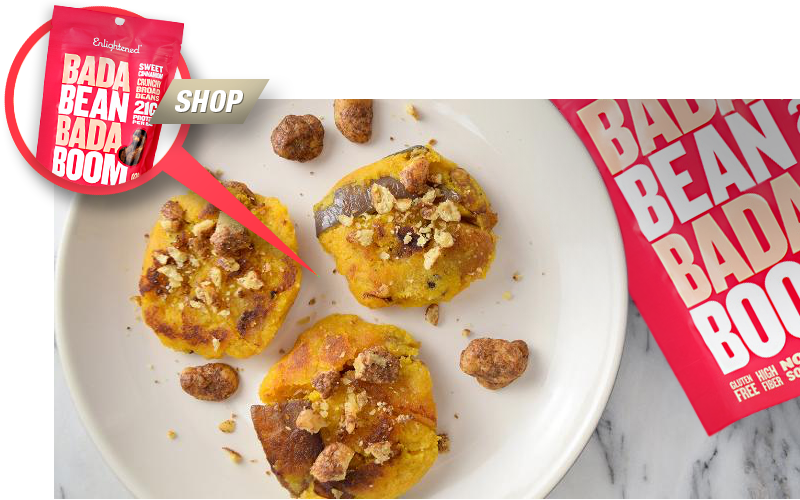 The sea salt and coconut oil also add a nice array of flavors to these little fun-filled patties. Enlightened already established these fritters are super tasty, but they are also incredibly easy to make! After you mix your ingredients together just pop them on a heated pan and cook them on both sides. We advise to serve them while they’re nice and warm, but they’re also darn good once they’ve cooled off! Anyway, you see where we’re going here…this recipe is a win-win type of situation. DO NOT forget to sprinkle the crisps on top! Forgetting would be a mistake. Plus look how pretty!! Ok…now go make them. Sauté red onion in coconut oil, if using. Add cooled roasted squash to a bowl, then mash – it can be left slightly chunky. Add red onion, sea salt, Sweet Cinnamon Crisps, and coconut flour to the squash, then mix to combine. Form the mixture into small patties, then set aside. Heat enough coconut oil in the bottom of a frying pan to coat the bottom and fry the fritters. Add the fritters to the pan, then allow them to cook for 3-4 on each side, or until golden brown. (You can do the fritters in batches depending on the size of the pan). Serve with extra crushed Sweet Cinnamon Crisps sprinkled on top. Enjoy!